Triangle Day School designates funds to assist families who are unable to pay the full cost of tuition. 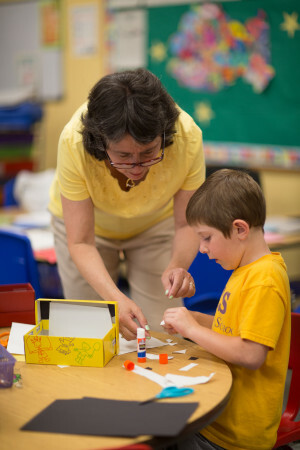 When determining a family’s eligibility for aid, Triangle Day School relies on a needs assessment provided by the Tuition Aid Data Services (TADS). This assessment takes into account a family’s income, savings, assets and liabilities, as well as any special circumstances. Aid is awarded annually, and recipients must reapply each year. Awards will be made without regard to race, color, nationality or ethnic origin. Note – while every effort is made to fund families whose children have been accepted for admission, the school has limited funds and therefore cannot guarantee financial assistance. Financial Aid applications are currently available at TADS. New families must apply to receive aid for the 2019 – 2020 school year. TDS will inform families of financial aid along with enrollment contracts. Submission of a Financial Aid Application will have no effect on admissions decisions. All financial information, including award amounts, is kept completely confidential. Parents with questions related to Financial Aid should contact Deb Newlin, Director of Admissions, at 919-383-8800 ext. 130. In addition, TDS participates in the Opportunity Scholarship Program through NCSEAA. This program can award up to $4,200 per year towards tuition for eligible students that apply. Click HERE for details. March 22, 2019: Contracts and Deposits for new families due in grades 2 – 8.